Bring alluring arts and crafts design to your home's exterior with the Westinghouse Burnham One-Light Wall Lantern. This fixture exudes warmth with its deep oil rubbed bronze finish and honey art glass. The windowpane design on the glass panels adds a charming element to the fixture. 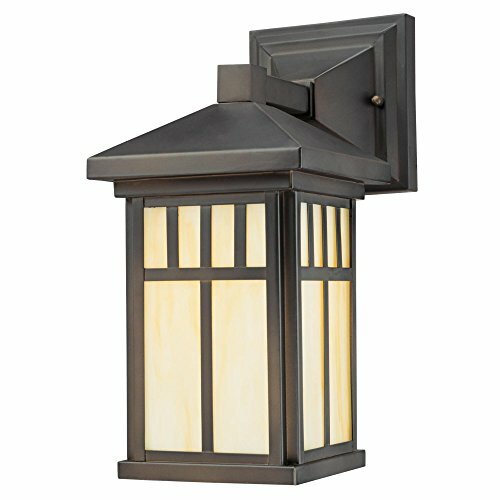 Install this lantern by your front or back entryway or by a garage door. Illuminate your porch, deck area, patio, or balcony. Durable craftsmanship ensures lasting style and beauty, backed by a five-year limited warranty against defects in materials and workmanship. Westinghouse is a trusted, global brand. Westinghouse knows lighting and offers products with exceptional quality, reliability and functionality. Product reference number 67328.